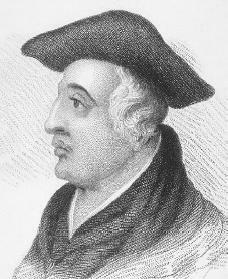 The medieval English philosopher Roger Bacon insisted on the importance of a so-called science of experience. In this respect he is often thought of as a forerunner of modern science. Little is known for certain about the details of Roger Bacon's life or about the chronology of and inspiration for his major works. It appears that Bacon was born in Ilchester, Somerset, England. He was born into a noble family, although not a major one. In his youth he studied the works of the ancient Greeks as well as arithmetic, geometry, astronomy, and music. At thirteen years old he entered Oxford University, where he spent the next eight years. He eventually received an advanced arts degree. In the 1240s, perhaps in the early years of the decade, Bacon lectured at the University of Paris, France, on the works of the ancient Greek philosopher Aristotle (c. 384–c. 322 B.C.E. ). During this period he also wrote three works on logic, or the study of how to reason correctly. Within relatively few years there were three important events in Bacon's life: his return to England from France, the awakening of his scientific interests, and his entry into the Franciscan order, the Christian group founded by St. Francis of Assisi (1182–1226). Early on Bacon had the idea for a universal, or general, science that would promote the spread of Christianity, prolong life, aid health, and unite theology (the study of God and His ways) and the science of experience. He praised science as being "most beautiful and most useful." Bacon had other reasons for urging Christians to take up a science of experience. At the time there were many who believed that a struggle with the antichrist (or great evildoer whose arrival on Earth was predicted in the Bible) was near at hand. Bacon saw a science of experience as a Christian weapon for the fight. It is quite likely that Bacon became a Franciscan in 1252. By Bacon's time the work begun by St. Francis had posed problems for his followers. Franciscans were required to take a vow of poverty, but their work had grown to such size and importance that it was impossible to continue it unless the order owned property and other possessions. The owning of property by the Franciscan order, however, was seriously questioned by a group of Franciscans. Bacon joined this group. About 1257 Bacon was taken from England to France and, for unknown reasons, underwent some kind of confinement, perhaps even an imprisonment, in a French monastery. One theory is that people questioned him because of his scientific interests, but it is more likely that his views on Franciscan life proved unpopular with some Franciscans in England. During this period of confinement Bacon wrote his greatest works: Opus majus (major work), Opus minus (minor work), and Opus tertium (third work). Disagreements among scholars concerning the order and purposes of these works show once again the many unknowns concerning Bacon's life. In Opus majus he made use of scientific materials already written, added new material, and included a section on moral theory. With respect to the sciences, the overall tone of Opus majus is a plea, attempting to persuade the pope (the head of the Catholic Church) about the importance of experimental knowledge. After the three works, Bacon wrote a great part of Communium naturalium (general principles of natural philosophy), one of his finest works. In 1272 he published another book on the study of philosophy in which the old, angry, argumentative Bacon reemerges. In it he claimed to see the presence of the antichrist in the then-warring Christian groups, and he took in general the extreme view of Franciscan life. It is also possible that an imprisonment in the final years of his life stems from this book. In many ways Bacon was ahead of his time. His works mention flying machines, self-driven boats, and an "instrument small in size, which can raise and lower things of almost infinite weight." He studied the heavens. He seems to have studied the refraction (bending) of light under experimental conditions. However, in his so-called science of experience he did not make any known advances in what is today called physics, nor did he make any known practical inventions. There is no evidence that Bacon made any important contribution to science, but there is much evidence that he was instead a reader, writer, and champion of science. Bridges, John Henry. The Life and Work of Roger Bacon. London: Williams & Norgate, 1914. Easton, Stewart C. Roger Bacon and His Search for a Universal Science. Westport, CT: Greenwood Press, 1952. Westacott, Evalyn. Roger Bacon in Life and Legend. Folcroft, PA: Folcroft Library Editions, 1974. I would like to know what his contributions to math were, I know he made some type of logical contribution, but in all my research I haven't found the exact answer to my question. I would greatly appreciate this.